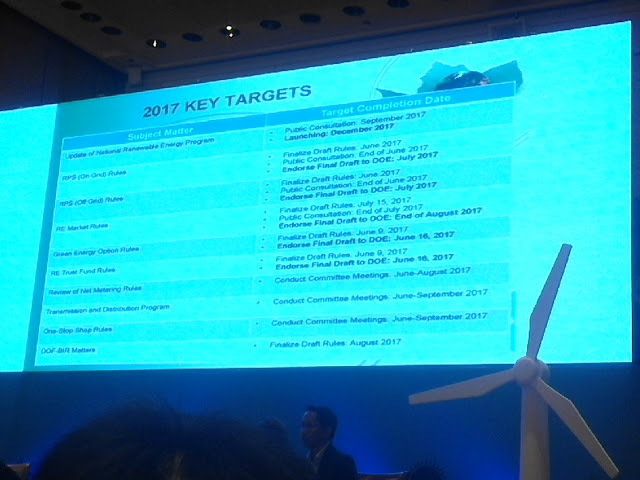 Last Monday, June 05, I attended the first day of the four-days Asia Clean Energy Forum (ACEF) 2017 conference at the ADB. I went there to see new discussions and data on how organizers and speakers can help "save the planet". 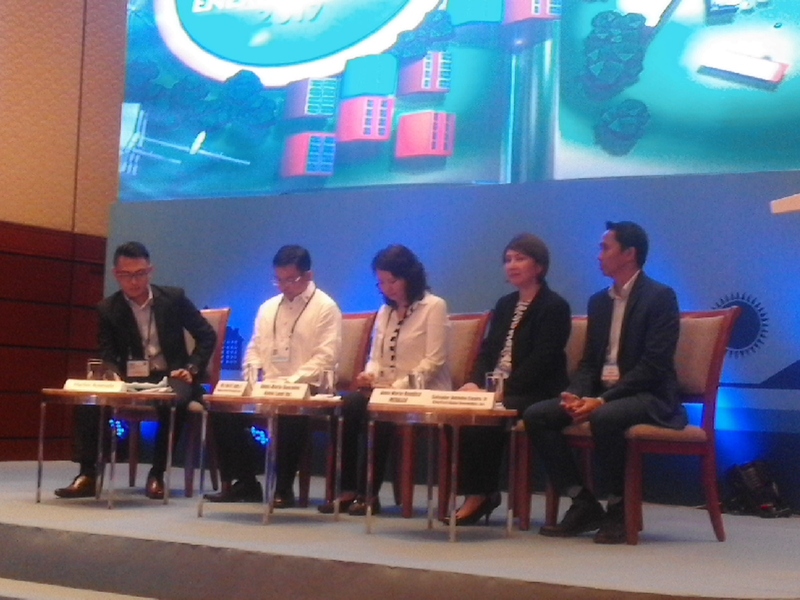 One panel was on PH experience. Speakers were from NREB (Atty. 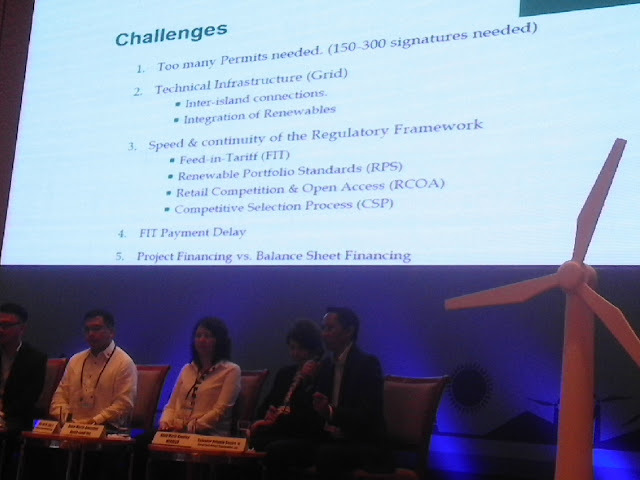 Jose Layug), Ayala Energy, Meralco, and Cleantech Global. Atty. Layug showed these targets by the National RE Board (NREB). A new regulation on the implementation of the renewable portfolio standards (RPS) is prepared. 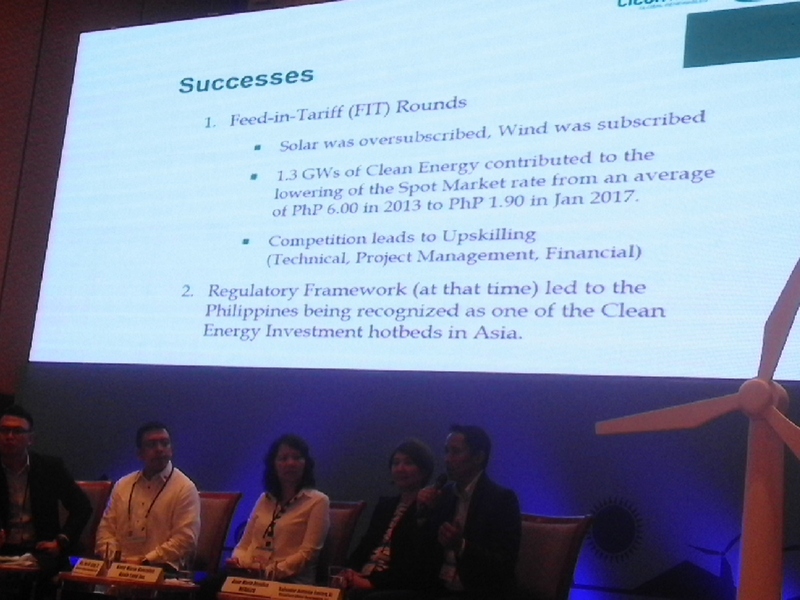 The guy from Cleantech global says FIT is a success story. For the big wind and solar firms like Ayala and EDC/Lopez, yes. But for consumers, its a failure in bringing down electricity prices. I spoke during the Q&A, I said that there is dishonesty in the marketing of renewables. (1) They say that solar-wind will bring down electricity prices because the Sun and wind are free. But look at FIT-Allowance, from 4 centavos/kwh in 2015 to soon 26 this year, 6x increase. And the lobby for faster reimbursement, bigger FIT to other players continue, as shown by this slide from Cleantech. (2) When the renewable portfolio standards (RPS) was proposed for implementation about 2 yrs ago, DOE and NREB were asked about the price implication to consumers, they have no answer. They just pushed a measure with no idea on impact to consumers. (3) People say that wind power is green but in many wind farms in mountains like the Nabas, Aklan wind farm, Pililla, Laguna, others, they murder thousands of trees as they flatten mt. ridges so that 10, 20 wheeler huge trucks can pass and erect huge towers. Atty. Layug responded to my comments, saying that there is no dishonesty in the push for renewables. He cited the roles of (1) RE's merit-order-effect in the lowering of overall WESM prices, (2) expansion of FIT allocation especially in solar, from 50 MW original to 500 MW, became over-subscribed at around 800+ MW, (3) RPS regulation will not impose any price regulation between DUs and RE companies. I forget other things he said. I could not make follow up points as more time is given to speakers, there were other hands raised. I wanted to add that RE's 'merit-order-effect' is minimal and cannot be a major explanatory variable for low WESM prices because (a) actual output by solar-wind is small even at noontime when it's cloudy, raining, and the wind does not blow. So low variable RE output vs very high electricity demand especially at peak hours in the morning, noontime and early evening. And (b) there are many merchant coal power plants, they are the ones that provide really huge power supply at WESM, they displace each other. Like coal plant A bidding at P3.50/kWh is displaced by coal plant B bidding at P3.20, which in turn is displaced by coal plant C selling at P2.90, and so on. If the various subsidies, priority dispatch at the grid even if they are expensive, other government schemes are not present, no one will build any big solar-wind plants. The building cost (Capex) is high, output is intermittent and unstable, among others. Good morning Sir : I was the last to react, though in a subdued manner, I do agree however that under the current situation where the footprint for traditional renewable energy is very high. I am actually staring up my company that will market renewable baseload power generation, that is why I attended the first 2 days, to seek out and network with participants., and get some support from ADB regarding technical and fiscal procedures. Of course I did mention that despite the glut in the generation sector in Mindanao, power rates zoomed up instead of going down, as players practically strangulated the Hydro Power Generation to less than 40 % of the dependable capacity. I would like to invite you to visit my blog at : www.sanjosepower.blogspot.com, where in the coming days I will publish my insights on the ACEF and POWER & ELECTRICITY WORLD 2017. Thank you for the comment. I visited your blog, nice. Keep it going. Meanwhile, is your blog focus on power efficiency, not so much power generation, distribution?